Our in-house experts and engineers are ready for your remedy of troubles all the time. 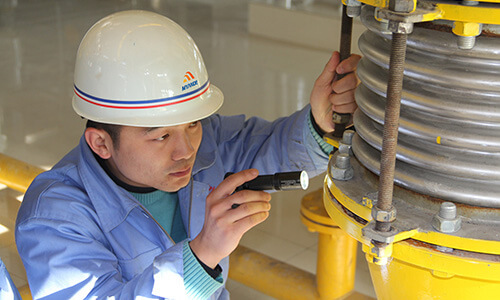 They would be your side whenever you need to check and evaluate your plant equipment operating conditions. And then they will give you professional suggestions and solutions. We can optimize your existed production line and recommend you the right parts, update information or probably potential troubles. You can get to our service via email, telephone or fax. Now, English, Russian, Spanish, Arabic and Portuguese on-line services are available. We will be glad to help you. Myande has an experienced training team. 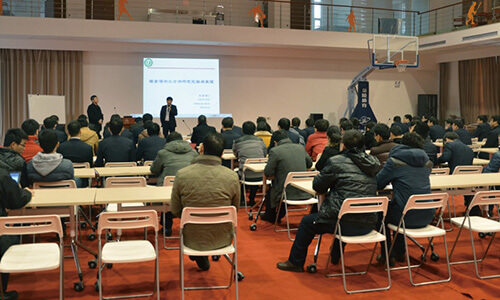 According to the differentiated customer’s request, we will arrange comprehensive training program respectively to ensure our customer's staff can operate production line very well. Every specialist who would be the teacher of our training center has adequate know-how, practices and excellent professional background. Your training program can be achieved at your site or in our training center by our qualified specialists. We have almost all key parts of our products in stock in urgent case of your spare parts demand. So that we can deliver it within shortest reaction time whenever you need by simple and fast way. Meanwhile Myande would like to recommend you to purchase our original spare parts. This would keep you profitable spare part quality thanks to using of original parts, tested by our years of practice. Quickly delivery to minimize your loss as much as possible.